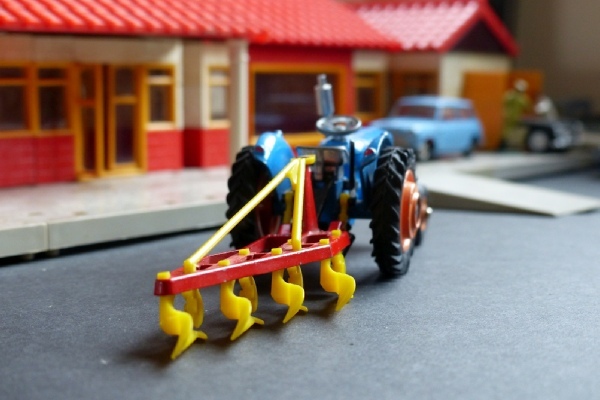 The early 55 tractor and first plastic yellow and red plough make up this Gift set. This is very expensive because the tractor is in excellent condition and comes with its original box. The plough is in excellent condition too but is comparatively cheap to buy on its own. This set in its original Gift Set box is extremely difficult to find. If I find a tractor on its own then this is worth putting in a decent reproduction box and inner.